Welcome Package: 20 free spins on registration plus 100% up to £400 and additional 100 casino spins on deposit. Leo Vegas was only established in 2012 but you would be hard pressed to know this just by taking a wander around the site. The site is beautifully designed and features a lot of functionality not found even in some of the most established and developed casinos in the market. The best though could be the free spins and the deposit bonuses on Leo Vegas. Read our full review here. 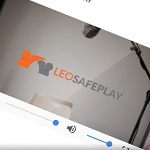 Unlike many of its competitors, Leo Vegas is actually developed from the ground up to be a mobile casino game, rather than one that has had a mobile version bolted onto it. Because of this there is a notable difference in the quality of Leo Vegas and other mobile casino games. Don’t worry though, there is still a desktop version that you can download if the thought of playing casino games on a tiny little touch screen phone doesn’t appeal to you. 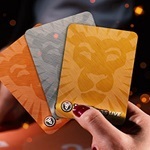 One of our favorite casinos, Leo Vegas, is offering free spins upon sign-up. First, you will be able to claim free spins when you register a new account. secondly you will be getting more free spins once you make a deposit. The bonus offering really is pretty good with a large worth of boosted deposits to be won in a progressive manner, allowing players to ease into the games starting with a smaller deposit and moving to larger deposits. Leo Vegas will give you a deposit bonus once you make your first deposit. You can receive up to double the amount you deposit as a first bonus. There are several steps of deposit offers. 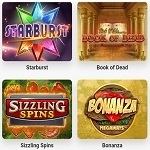 Casino Promotion: Up to £400 in Welcome Bonus Offers + 100 Spins! Like I said before, Leo Vegas is designed to be a mobile casino from the start and it really shows in the design and functionality of the mobile version of the site, which is excellent on both counts. You have as much functionality on the mobile version of this casino as you do in the desktop version of some other casinos, not to mention a seemingly non-existent load time and easy to use interface. It feels a bit like slapping the developers in the face when you access Leo Vegas casino from anywhere other than a mobile device. The games at Leo Vegas are varied and entertaining, coming from some of your favourite software development houses such as NetEnt, Microgaming, NYX Interactive, Viaden gaming and Nextgen. With over 150 different titles to choose from you won’t be stuck for choice, especially if you are a fan of progressive jackpot slots, video slots, baccarat, blackjack or virtual horseracing because Leo Vegas has plenty of these on offer as well as much much more. Unfortunately, the support is where Leo Vegas lets itself down a little bit. Their support is only open from 8am till 11pm Central European Time during weekdays and from 9am till 10pm Central European Time on weekends, which is fine and dandy for the central European user but not all that great for anyone either side of this fairly thin time band. On top of that, there is no live chat functionality which means that even the most simple questions and queries take an age to get answered. The customer support could do with being made more robust in the coming months to really make Leo Vegas a truly good all rounder. In order to play for real money you will need to make a deposit in either Euros or Swedish Krona but you can do this in most of the regular ways. Leo Vegas accept all major credit and debit cards and also accept deposits from other methods such as Paysafecard and Instant Bank. All of the payment options have absolutely no fees and are quick acting so you can be playing for some real coin very soon. Withdrawing your winnings takes the industry standard 3-4 working days and can be deposited to your card or straight into your bank. Overall Leo Vegas is a solid casino that offers a good selection of games and prizes. It has an excellent mobile version, actually the main version if we are honest, but doesn’t quite have the same level of customer service and support as some of the more long established casinos on the market. Good but certainly a small amount of wiggle room for improvement. 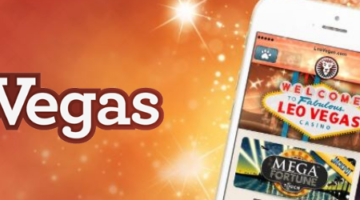 Question: Is there are LeoVegas mobile casino? Answer: Yes there is! There are more than 25 slot games available in the mobile version and various table games like Blackjack, Poker, Baccarat, etc. The mobile casino is available to any device that has a web browser compatible with HTML-5 – like iOS, Android, and even WP8. Question: Are there live games? Answer: Yes, LeoVegas Casino offers live games for various table games like roulette, baccarat, blackjack, and poker. Question: How can I be sure that the site is secure? 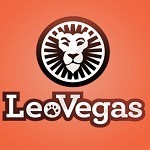 Answer: LeoVegas uses a 2048-bit SSL certificate to protect all the data and transactions on their online casino. This certificate is provided by Digicert. The level of security is same whether the casino is accessed through a PC/Mac or mobile/tablet. Question: How can I reach customer support? Answer: LeoVegas Casino offers round-the-clock customer service. You can reach their efficient customer support team through live chat, email, or UK freephone (or international phone). Question: What license does LeoVegas hold? Answer: This casino holds three different licenses from the UK Gambling Commission, the Danish Gambling Authority, and the Malta Gaming Authority.